Here are a few different maps to help you situate Amizmiz and get a sense of its geography. 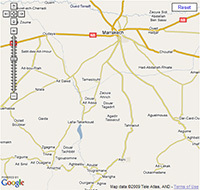 This map shows the major roads leading out of Marrakech, with Amizmiz found just southwest. 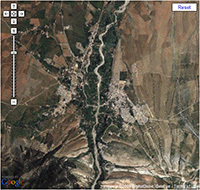 This is a satellite image that gives a realistic look at the area and gives you a clear sense of the geography. Here is a topographical map showing altitudes for Amizmiz and the surrounding area. 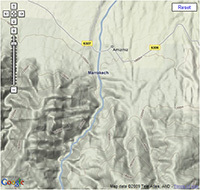 This map allows you to see many of the villages mentioned in the different excursion itineraries.